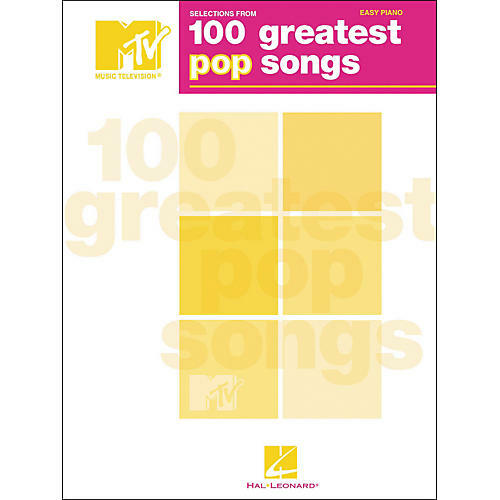 A great collection of over 90 of the best and/or most influential pop songs of all time - as chosen by the folks at MTV and Rolling Stone and documented in the popular video special. Songs: Beat It · Bohemian Rhapsody · Brown Eyed Girl · Careless Whisper · Dancing Queen · Every Breath You Take · Go Your Own Way · Good Vibrations · Hotel California · I Wanna Be Sedated · I Want to Hold Your Hand · Imagine · Jeremy · Just the Way You Are · Little Red Corvette · Losing My Religion · Love Shack · Maybe I'm Amazed · My Generation · Nasty · Our Lips Are Sealed · Proud Mary · Respect · Smells like Teen Spirit · Superstition · Sweet Child O' Mine · Time After Time · Under the Bridge · Waterfalls · Where Did Our Love Go · You Oughta Know · You Shook Me All Night Long · and more! 496 pages!